CENTURY FOR VIRAT KOHLI! His 21st in Tests, and probably one with the most animated celebration from the Indian skipper! He gets to the milestone with a double at the start of the 67th over, taking 146 balls to get there! First century of this series! 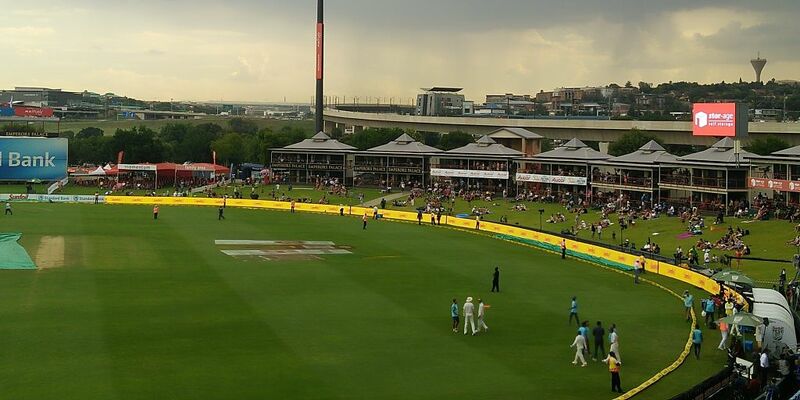 That's it from us at Firstpost in our coverage of Day 3 of the second Test between South Africa and India at Centurion. 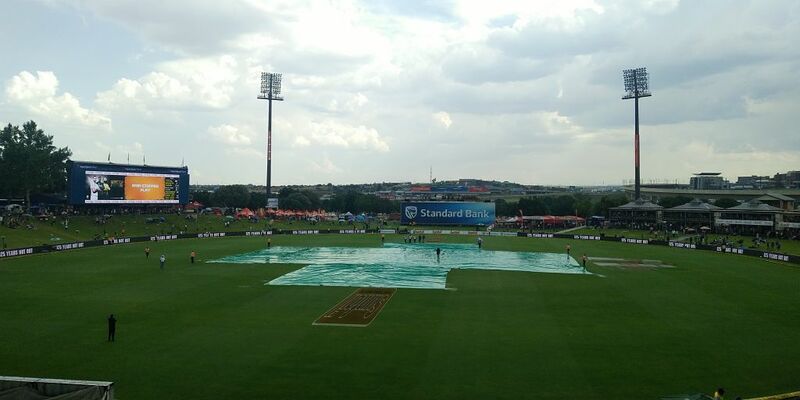 Another day that saw a good contest between the two sides, whether it was Kohli's defiance with the bat, or de Villiers' brilliance that brought the Proteas back on their feet after a couple of early wickets. The game is still anybody's for the taking, though the hosts have the advantage of eight wickets at their disposal with a lead in excess of 100. Do join us tomorrow to find out how the match shapes out on the fourth day. Till then, good night! Match called off. Players have gone in. That's it for today. Chaiya Chaiya playing.... meanwhile umpires back on the field. Be ready for a call-off. So an explanation for why light is better... 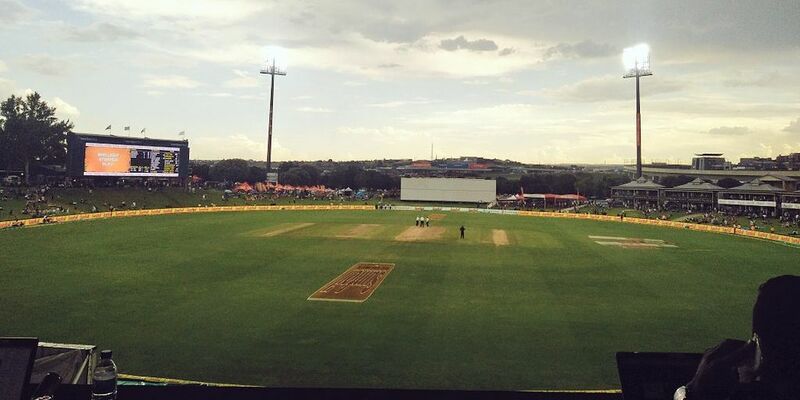 Most of the grounds in SA have new LEDs installed... except of course... Centurion. Hence took time to properly come on. Natural light hasn't improved. Might as well call stumps now. The umpires have gone off... but Indian players still loitering at the boundary. Clearly, they want to play. Light has improved marginally, but this doesn't look like restarting. Good thing... we have 90 minutes to wait for it. So play has just been stopped. Not called off. Umpires still on the field. Sky clearing in the distance. But... Slim chance of play again. This is the ninth fifty-plus score by AB de Villiers against India in Tests - the third most by any South African player. Jacques Kallis had scored such 12 scores which is a record. And now play has been stopped once again, this time due to bad light. Not long before the umpires walk out with their light meters. De Villiers guides the ball towards point for a couple of runs at the start of the over, moving to 49. Couple of appeals for caught-behind, though Bumrah isn't interested in either. AB takes a single off the fourth delivery to bring up his 42nd Test half-century. Three off the over. AB guides the ball towards the leg side off the first delivery for a couple of runs. Gets beaten next ball with a delivery that stays low. Three off the over. Virat not happy with how the ground has dried up or not dried up... probably thinks the umpires were too eager to get the game started. India looking distracted in the field. Three collected off Bumrah's second over of the session, including a double by Elgar off the fourth delivery of the over. 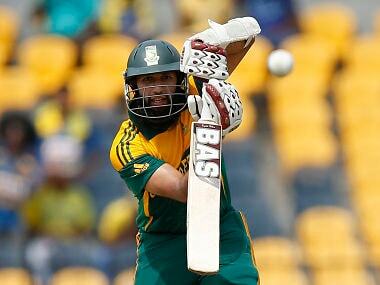 Meanwhile, ABD is one big hit away from his fifty, and could very well get to that milestone in that manner. Seam from both ends for now, with Kohli deciding against giving Ashwin the wet ball for now. Elgar sets off for a single off the second delivery, and is denied a second run by his senior team-mate. Shami bowls a short and wide delivery that is swatted through the covers by de Villiers, fetching him his sixth boundary. Seven off the over. Virat not in the best mood. Muttering away. Probably not happy that the ground is not completely dry. Patel misses Elgar. Bumrah returns to the attack in the 25th over of the SA innings, and creates a chance straightaway as Elgar edges one behind off the third delivery. Fortunately for him, the ball passes through the gap between keeper and slip, with neither showing any inclination for the chance. Five runs collected off the over. Meanwhile, SA's lead is in excess of 100 right now. Jasprit Bumrah returns to the attack in the 25th over of the South African innings. Meanwhile, Kohli's not happy with his bowlers having to operate with the wet ball that is difficult to grip. 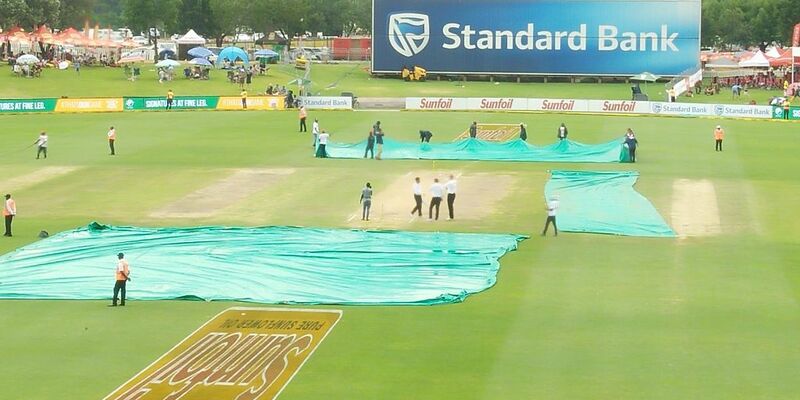 Shami is a delivery short of completing his third over of the innings when a passing shower halts play, forcing the players to retreat to the dressing rooms as the covers are brought out by the groundstaff. 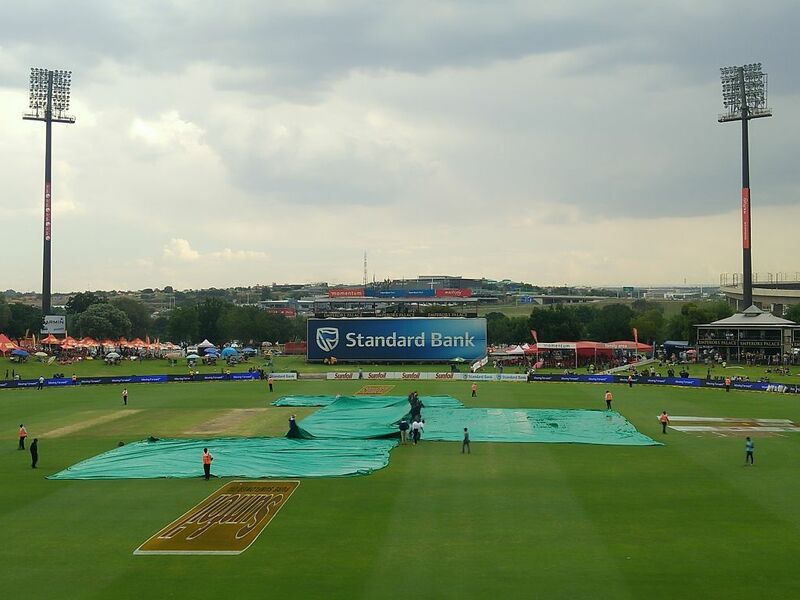 Play resumes after about a 40 minute delay, and de Villiers collects a single off the last ball of the 24th over. Play resumes after the lengthy break, and it is de Villiers on strike, with Shami set to bowl the final delivery of the 24th over. Indian team on the field... But that's rain in the distance... Locals say it is not necessary it will come here. But maybe they are just too optimistic. 4.20pm (1950 IST) local time start. That's about a few minutes from now. No overs lost. Play to carry on till 6.30pm (2200 IST) local time. Umpires taking a look... Stumps are back in. Indian team looking to come on.. but we are still awaiting official word. Not long to go now... More covers off. Just the pitch remaining now. Just the one Super Sopper.... going about slowly. Too much responsibility for the one to clean covers. Umpires on the field... Rain has stopped. Should be another 20 minutes before play resumes. Very little drizzle still in fact. Hence the clean up hasn't begun. Weather just seems to be clearing up in the distance. Super Sopper on now. Rain seems to have stopped. Passing shower as the locals said. Just abated. Some clean up job remaining. Still some time to go before play resumes. We can go on till 6 pm (2130 IST). Hope the rain gods have mercy on us and the play starts as soon as possible. South Africa have lost only two Tests at Centurion out of 17 - One against England in 2000 and another against Australia in 2014. Rain... Lightning and thunder as well... But local word is that it is a passing shower. 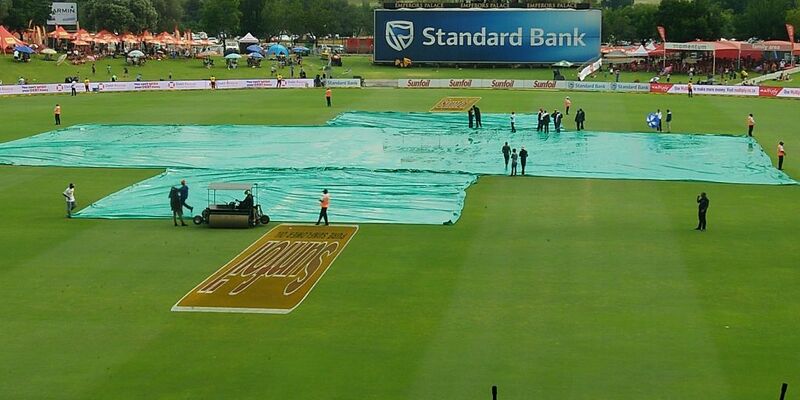 The series of thunderclaps eventually give way to a spell of rain, forcing the players to leave the ground as the covers are brought out now. Great start from Shami... Bowling tighter and into AB... Clearly a plan here. Bit of dark cloud hovering above. Just one run conceded by Ashwin off his 12th over, and he seems to be hitting the right lengths now, keeping the batsmen grounded in their crease for now. De Villiers nudges the ball towards midwicket off the fourth delivery of the over after three dots. Just one off the over. Meanwhile, there are a few dark clouds gathering around, although rain isn't expected in this session. Heard a clap of thunder after the last delivery of this over. 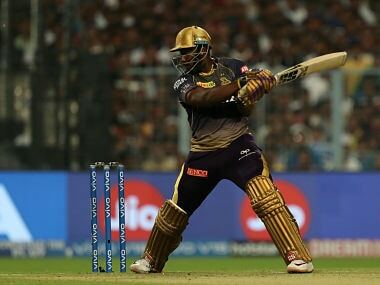 Ashwin errs in his line in the fourth delivery, pitching it up along middle and leg, with Elgar getting tempted into a slog sweep that sends the ball sailing over long-on. Six off the over. Shami is introduced into the attack for the first time in the first over after tea, and gets a maiden straightaway. The second delivery is especially vicious, as the ball angles into de Villiers travelling close to the off-stump. The players walk back to the ground after the tea break, and it is Shami who gets the ball for the first time in SA's second innings. India's session but AB's heroics just about evening it out for South Africa. 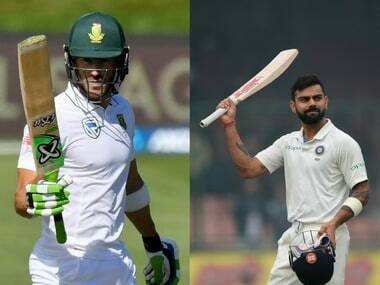 This has been a day of two batting masterclasses... Virat for India and then AB for South Africa, each bidding to outdo the other... Virat's innings made sure India didn't concede a heavy deficit, only 28 runs... What AB ends up with, will have immense bearing on what India end up chasing. Ashwin bowls a ripper in the fourth delivery of the over, with the ball producing a puff of dust while moving sharply away from the batsman. Just one off the over, as SA head to tea at 60/2, with the game back in balance with the unbroken 57-run third-wicket stand. ABD has been fantastic so far in his innings, and his presence will be crucial to SA's chances of setting a sizeable target for the visitors. De Villiers pokes around tentatively to the deliveries pitched outside off in Ishant's fourth over. He retains strike for what should be the last over before tea with a single off the last delivery of the over, with just one coming off the over. Elgar gets down on one knee, and sweeps the ball towards the midwicket fence off the fourth ball of the over. The offie gets the ball to bounce a little higher than usual off the last two deliveries of the over. Four off the over. AB smacks the ball down the ground at the start of Ishant's third over to collect another boundary. Takes a single off the third delivery to bring up the fifty-stand for the third wicket. Six off the over. India vs South Africa, 2nd Test, Day 3 in Centurion, latest update: AB guides the ball towards the leg side off the first delivery for a couple of runs. Gets beaten next ball with a delivery that stays low. Three off the over. Day 2 Report: Virat Kohli made a defiant 85 not out as India's other batsmen fell around him to leave the top-ranked team 183-5 in its first innings and 152 runs behind South Africa in the second Test on Sunday. Kohli's 16th Test half-century showed his determination to keep India alive in a series where it already trails 1-0 and is fighting to justify its No 1 ranking. Only opener Murali Vijay provided any lasting support for Kohli on Day 2 at SuperSport Park as South Africa's four-man pace attack worked its way through the Indian top and middle order. 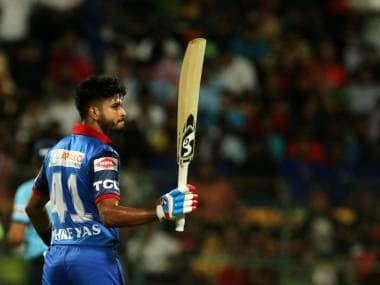 Allrounder Hardik Pandya was 11 not out alongside Kohli at stumps, with India precariously placed in its reply to South Africa's first innings of 335 all out. Kohli strode in with India under pressure at 28-2 after losing two wickets in two balls. 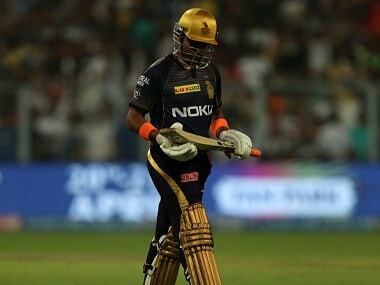 He took the lead in a 79-run partnership with Murali Vijay (46), making 51 of those 79 runs. Vijay was undone by South African spinner Keshav Maharaj, opening the way for quick bowlers Kagiso Rabada and Lungi Ngidi to remove Rohit Sharma (10) and Parthiv Patel (19). Earlier, South Africa skipper Faf du Plessis played a similar role to Kohli with a precious half-century to take his team past 300. Du Plessis' 63 dragged his team to 335 after useful lower-order partnerships of 31 with Maharaj (18) and 42 with Rabada (11). India was hoping for a quicker end to South Africa's first innings after three swift wickets at the end of the first day had the home team in trouble on 269-6 at stumps. But India missed chances, notably dropping Rabada twice off successive balls when South Africa would have slipped to 289-7. Kohli missed one of those catches at slip. India did ultimately remove South Africa's last seven batsmen for just 89 runs, though, with offspinner Ravichandran Ashwin taking 4-113 and seamer Ishant Sharma justifying his selection ahead of Bhuvneshwar Kumar by taking 3-46, including the prize wicket of du Plessis. 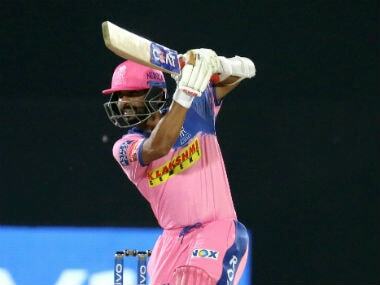 But India's reply stuttered early when KL Rahul was out caught and bowled by Morne Morkel for 10, and Cheteshwar Pujara was run out first ball he faced by a direct hit at the non-striker's end from debutant Ngidi. Ngidi's first day of action in Test cricket improved when he angled one across Patel late in the afternoon and had the wicketkeeper-batsman caught behind, leaving India 164-5.